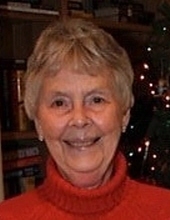 Beverly June Hanna, 92, of Diamond Springs, California, formerly of Pollock Pines, California, died peacefully in her sleep on January 27, 2019, at Marshall Hospital in Placerville. Born June 4, 1926, in Aberdeen, Washington, she is pre-deceased by her parents, John William Nelson and Helen Margaret Nelson of Aberdeen, Washington and her beloved son John Steven Walshaw of Pollock Pines. Beverly and Claude Hanna were married for 54 years. After their retirement, Claude and Beverly frequently traveled in their trailer. One of Bev’s favorite places was Mono County, she loved the little town of Bridgeport, California. Beverly was a passionate bird watcher and animal lover. She could identify different types of birds. She would use her “field glasses” to point, identify and describe all the birds. She also loved cats, “Buddy” (their last cat) brought Claude and Beverly so much joy. Beverly worked 35 years for the Bank of America in many different capacities. Her career provided her opportunity to work in many Bank of America branches in California. Beverly volunteered in many communities where she resided. Upon retirement, Beverly volunteered for the El Dorado Sheriff’s Department, as S.T.A.R. (Sheriff Team of Active Retirees) for 17 years. This included the Y A NA (You Are Not Alone) program. Survivors include her husband Claude B. Hanna of Diamond Springs, 4 children, Scott Walshaw of Sparks, Nevada, Jim Walshaw of Jackson, California, Elaine Masi of Sacramento, California and Darcee Jouganatos of Elk Grove, California, Robyn Walshaw, daughter-in-law of Pollock Pines, California. To send flowers or a remembrance gift to the family of Beverly June Hanna, please visit our Tribute Store. "Email Address" would like to share the life celebration of Beverly June Hanna. Click on the "link" to go to share a favorite memory or leave a condolence message for the family.